Another weekend of great results from Poole AC! David Broadley won the 10k race. Fantastic! A few PBs – well done all! Chris Nash completed the wheelchair marathon in 7th place in a time of 2:04:19. 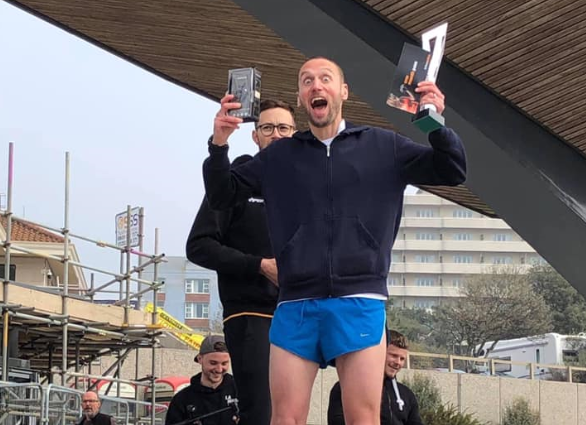 Gary Tyler completed his 20th marathon in a time of 05:41:17 at the Phoenix Runnings Excalibur 4 on Saturday, his last long run before London in three weeks time! Well done Gary! Vanya Ritchie and David Ritchie completed the 10k(ish) race in 1:09:39 and 1:09:40.